This season is shaping up to have a fantastic rookie class. While the American League boasts a couple of baseball's most elite prospects, in Jurickson Profar and Wil Myers, it's been the National League rookies that have been most impressive this season. Even without Matt Harvey qualifying as a rookie, the 2013 rookie class of starting pitchers in the NL appears to be a group for the ages. Over the first two and a half months of the season, Shelby Miller has been the brightest star of the group, with impeccable stats through 14 starts this year: 2.08 ERA, 2.50 FIP, 10.01 K/9 and 1.98 BB/9. Miller won't turn 23 until October 10th, which makes this Cubs fan very nervous. The elder statesman of the NL rookie class is the Dodgers' 26-year old Hyun-Jin Ryu. After the Dodgers won the exclusive right to negotiate with Ryu with a $25 million posting fee, they signed him to a $36 million contract over 6 years. He is on his way to being worth every penny. Fangraphs calculates Ryu's performance to have already been worth $8 million to the Dodgers, after just 91 1/3 innings pitched. Ryu's ERA sits at 2.96, making him and Miller the only NL starters with ERA's under 3.00. One of the few bright spots in this shamefully lost season in Miami Jose Fernandez, who was born in Cuba almost 21 years ago (7/31/92). When the Marlins called him up, people were shocked because he's so young and the team is going nowhere. Why start his arbitration clock so that he can go get hammered in the big leagues for a team that's going to lose 100 games with or without him? On the contrary, Fernandez has been incredible. He struggled a bit earlier in the year, but still has season numbers up there with Miller and Ryu. Fernandez has a 3.05 ERA, and his 3.17 FIP and 3.38 xFIP are better than Ryu's. 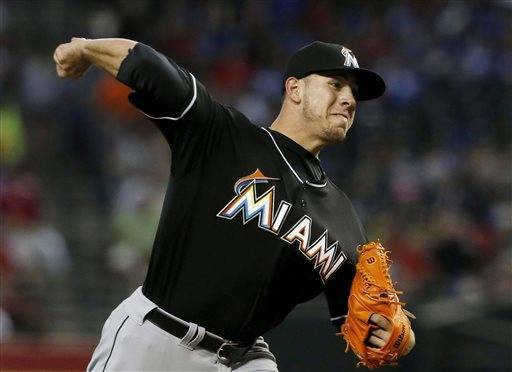 Jose Fernandez has been particularly unhittable of late. In June, Fernandez has a 1.65 ERA, 1.81 FIP, and has held batters to an anemic .127/.211/.157 slash line. The Braves have Julio Teheran, once the top pitching prospect in the country, living up to expectations. After a slow start, where scouts criticized his pitches as "flat" and the results failed to argue the point, Teheran has pitched fantastically. Most notably, Teheran threw 8 innings of 1-hit ball against the Pirates on June 5th. Teheran has pitched better each month, as his ERA by month shows: 5.08 April, 2.60 May, 2.25 June. If Cubs fans were nervous because the Cardinals continuously reload their rotations with studs like Shelby Miller, they should be downright petrified at seeing Michael Wacha join the team picture. He's still a year or two away from consistently dominating, but he just turns 22 on July 1st. Michael Wacha has plenty of time. If being a Cubs fan weren't rough enough, we have to attempt to rebuild at a time when the Cardinals are on top of the World, and the Pirates are legitimately good for the first time in 20 years, and the Reds may have the best team of the group. In Pittsburgh, former #1 overall pick, Gerrit Cole, has had a brilliant start to his Major League career. It sounds like Cole will be sent back to triple-A for more seasoning. Rather than sending Tony Cingrani to the triple-A Louisville Bats, the Reds are moving Cingrani to the bullpen, where he could be a potential X-factor for the Reds. Cingrani could be the difference between the Reds missing the playoffs to playing in the World Series. Time will tell if he can have a magical season, or if the league will adjust to his fastball and punish his lesser offerings. Case in point: Cingrani has a 3.02 ERA and 4.04 FIP. If his ERA can stay closer to 3.00 than 4.00, the Reds should be in good shape. Earlier this week, the Mets knocked the socks off the National League by showcasing Matt Harvey and rookie Zack Wheeler as the starters for a double-header. 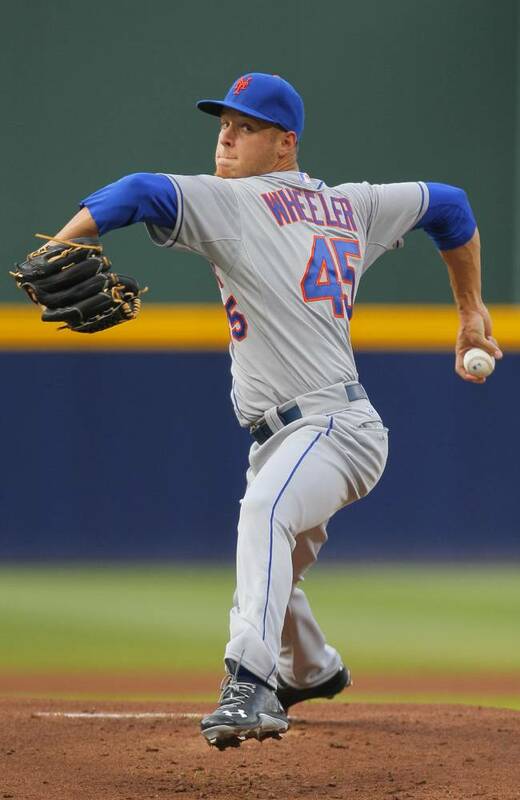 Wheeler is the real deal. With velocity, movement, and improving command, Zack Wheeler will be a strikeout pitcher with low opponents' batting average. Wheeler must lower his walk rate to reach elite pitcher status, but the smart money is that he'll have that figured out by the end of next season. Tyler Skaggs should become a good pitcher for the Diamondbacks. At first glance, he looks like he could be a ways away, as he's sporting a 5.40 ERA in three starts. Although it's a ridiculously small sample size, he is showing the ability to strike out Major League hitters (9.2 K/9 this season). His FIP is still high (5.21) because he has given up a home run on 20% of his fly balls. That number should be lower, which is taken account by xFIP calculations and show in his 3.78 xFIP for the year. Trevor Rosenthal has been a strike-throwing lightning bolt out of the St. Louis bullpen, boasting a 12.9 K/9, 2.0 BB/9, and minuscule 1.77 ERA, when considering his .377 BABIP. For those fellow Cubs fans scoring at home, yes, that's 3 Cardinals pitchers mentioned in this post, compared with zero Cubs players. The American League has seen a few starts from Trevor Bauer, Kevin Gausman, Chris Archer and Jake Odorizzi. Their success pales to the good showings from their NL pitchers mentioned above. The best AL rookie pitcher so far has been Dan Straily of the A's. 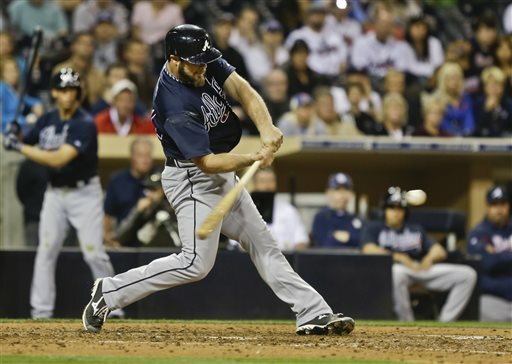 Straily is the only AL pitcher with sub-4.00 numbers in all three ERA, FIP and xFIP. The strong start of National League rookies extends to comparisons of position players. Apologies to Nolan Arenado of the Rockies, but his .298 On-Base Percentage is dwarfed by Anthony Rendon's .388. Rendon shifted over to second base to fit a need for the Nationals, but he's a third baseman by trade. 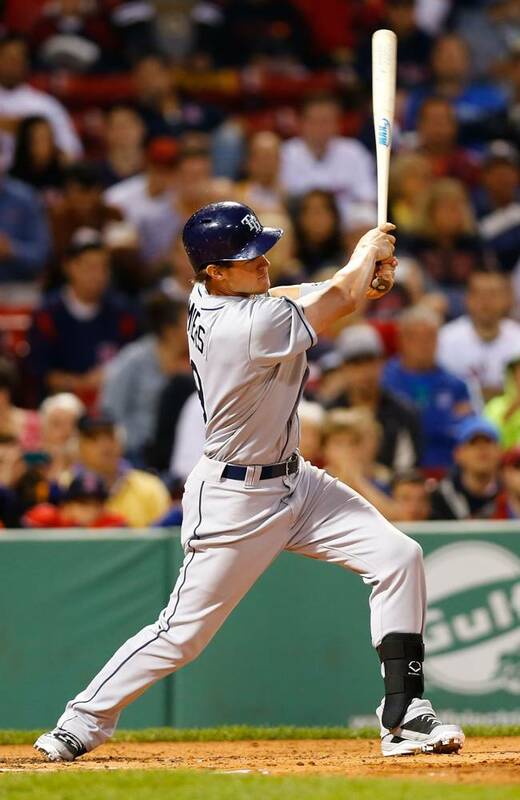 We're buying the hype on Wil Myers for the long run. Over his career, we expect at least 250 home runs from that bat. For the rest of this season, however, our expectations are more bearish. His strikeout rate in the minor leagues rose to cautionary levels, and he had a fairly sizable handedness split, excelling versus left-handed pitchers. Jose Iglesias is really a shortstop, but he, Profar, and Franklin have all been good enough to receive recognition. Iglesias is trying his best to shed the all-glove/no-bat tag he was given at the inception of his pro career. This season, in 30 games, while still playing marvelous defense on the left side of the infield, Iglesias is hitting .423/.477/.557. Iglesias, Profar, and Franklin make the team. Other rookie AL third basemen have been so lousy that I'm not even going to mention them by name. Avisail Garcia just missed making our Outfield. It's still early enough in the season for rookie player ranking lists to get flipped on their heads. Up to this point in 2013, the National League rookies are assimilating to the big leagues easier than their AL counterparts. A large part of the baseball world is going ga-ga for Puigmania. Evan Gattis has been pulling off a modern day Paul Bunyan impressions by grippin-and-rippin a heavy bat sans batting gloves. Strong showings from Gyorko, Gregorius and Ozuna, along with a handful of awesome pitching performances, make the 2013 National League rookie class deeper than we've seen in years. For the long term, the American League shows great promise, with some of baseball's most touted rookies (Profar, Myers, Gausman) on the cusp of being full time Major Leaguers. What's Up with Matt Moore?